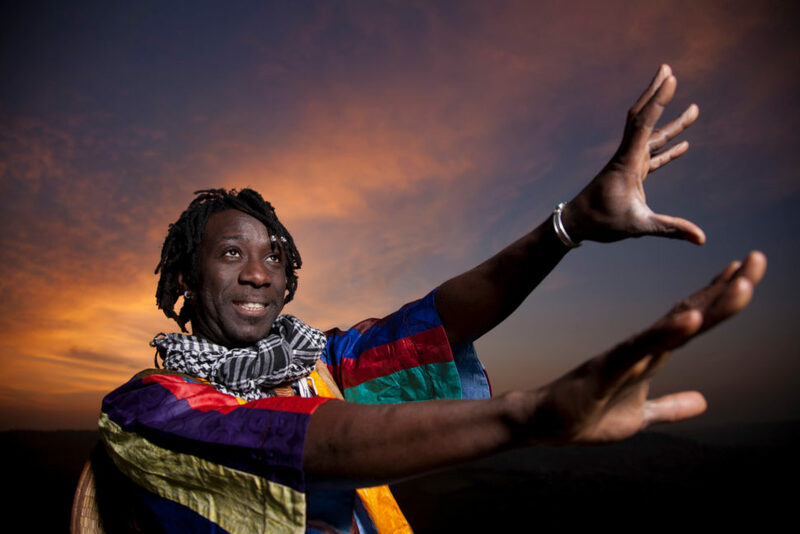 Amadou Diagne is a multi-instrumentalist, composer and singer, with the traditions of West Africa at his fingertips. Emerging from a family line of percussionists and praise singers in Senegal, his unique sound has seen him play stages and festivals all over the globe, collaborating with some of the biggest names in world music. A former member of l’Orchestre National du Senegal, Amadou and his band Group Yakar have been developing a style that is uniquely their own. The music is hard to define, yet universally appealing, spanning Afrobeat to Blues, Jazz Funk to Mbalax, and traditional West African Praise singing to Rock. Catch Amadou’s seductive blend of musical styles on Saturday Night at Bristol Folk House. Grab a Saturday Ticket or join us for the Whole Weekend.